Eye readers will know Bob as a great magazine maven, whose various pages: Facebook , Twitter and Tumblr pages have been treasure troves for great examples of publication design, from the obscure to the notorious. He wrote ‘Shock tactics’ for Eye 82, a memorable article about altmags (alternative weekly news magazines) in the US. Bob was in a coma for two weeks, and friends and colleagues around the world rallied round to raise money for his family and for his medical bills, using the fundraising page donationto.com/friendsofbobnewman. Now there’s another way to help Bob. My Favo(u)rite Magazine, a Anglo-American one-off, is a collaboration between Andrew Losowsky (Stack America, Huffington Post) and MagCulture’s Jeremy Leslie. It’s a simple concept: 88 writers, most of them art directors like Bob, have each contributed a short piece about their favo(u)rite magazine. 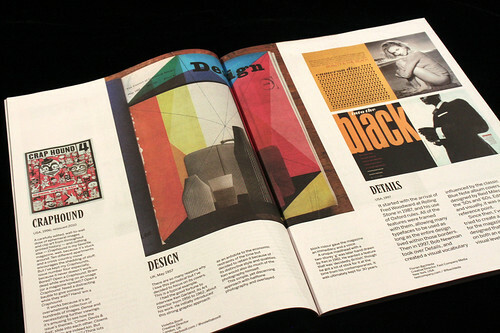 Each piece is accompanied by a picture or two, and the whole thing is published on newsprint through The Newspaper Club. 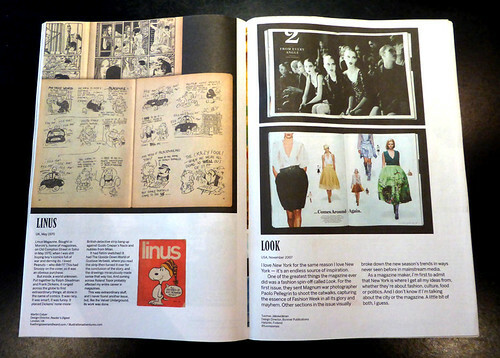 You can order a copy from magculture.com/shop. There are three options available: print edition (£15.99), pdf digital edition (£12.99) or a limited edition package that includes a print edition signed by the editors plus one of the magazines featured in My Favo(u)rite Magazine (only ten available at £59.99). 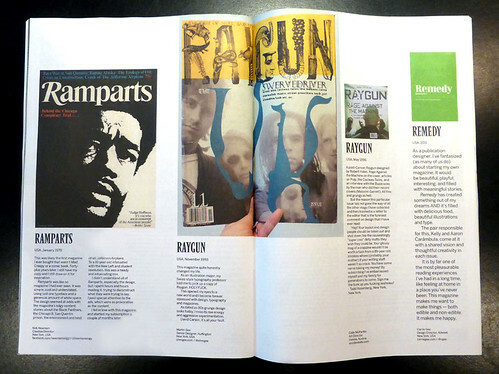 Here are a selection of spreads from My Favo(u)rite Magazine. 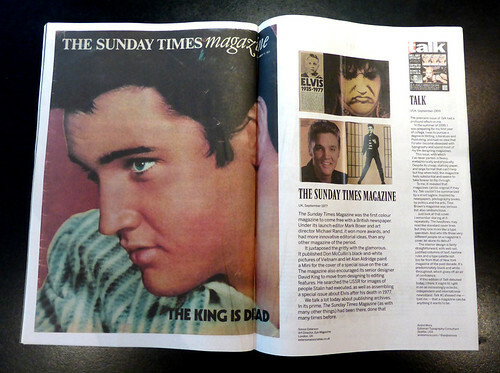 Simon Esterson writes about The Sunday Times Magazine in the 1960s & 70s; André Mora talks about Talk. Martin Colyer describes his discovery of Linus. Tuoma Jääskeläinen appraises Look. 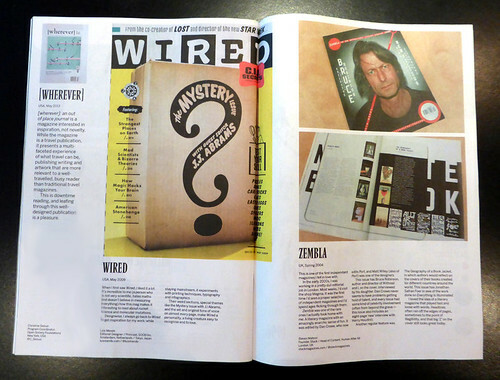 Luis Mendo on the ‘Mystery’ issue of Wired. Stack’s Steven Watson on Zembla. Concept / editor: Andrew Losowsky. Creative Director: Jeremy Leslie. Designer: Ling Ko. Price: £15.99. PDF: £12.99; Limited edition: £59.99. All profits from My Favo(u)rite Magazine go to the fund of Bob Newman’s family. For more details see the MagCulture blog.